When it’s time for building a new fence that offers protection and durability, a solid metal security fence is the ultimate choice. Reasonable metal fencing allows you to size the area as needed, providing the opportunity to surround the perimeter minus squandering the process. The metal panels are made to last for years even in extreme weather conditions. America Fence is a fence company serving the Atlanta area with the best quality commercial fencing and residential fencing available in Georgia. At America Fence Company we specialize in fence design and installation featuring the most beautiful metal fencing, aluminum fences, decorative metal fencing and iron wrought fencing, all custom built for your needs. Metal Fence Panel Installations For Residential and Commercial Establishments. Metal fencing is a quality and cost effective way to establish a perimeter around your home or business establishment. Do it yourself projects will take at least a full day plus the cost of material, tools and extra help. Here at America Fence, our passion is fences and we know that time is money so investing your time and money come hand in hand so give us a call to see how much it will really cost to install professional fencing. 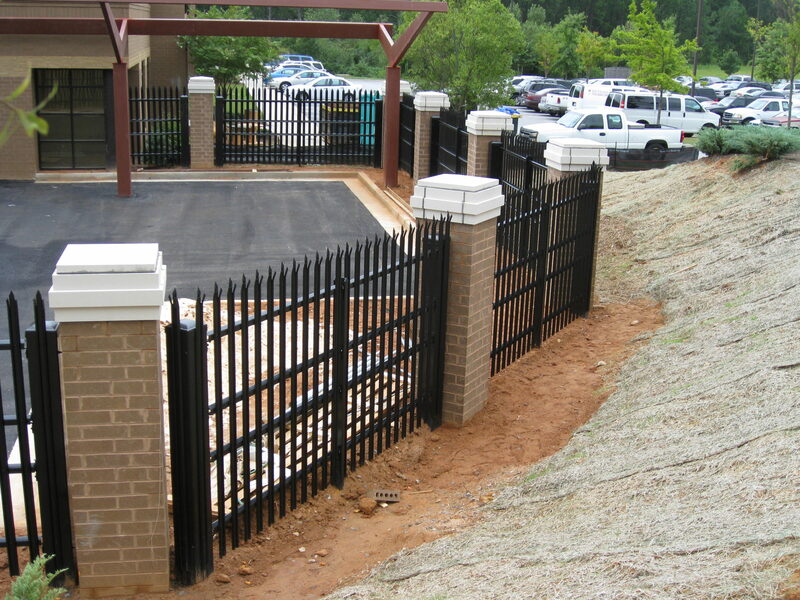 (770) 931-4077 America Fence Company provides custom fencing for all commercial and residential needs.